Weighing between the weight of an iPad (18″) and the weight of a laptop (32″), the Aerolite range ensures that you’ll spend less time worrying about meeting baggage weight restrictions, and more time enjoying your holiday. You’ll even be able to pick up the luggage with one finger! The 18″ model is compatible with all cabin size restrictions whilst the 21″ will be suitable for the majority including Ryanair; please check with your airline before-hand. It’s made from a very tough, hard-wearing Jacquard material which will ensure your luggage will resist the rigours of travelling. 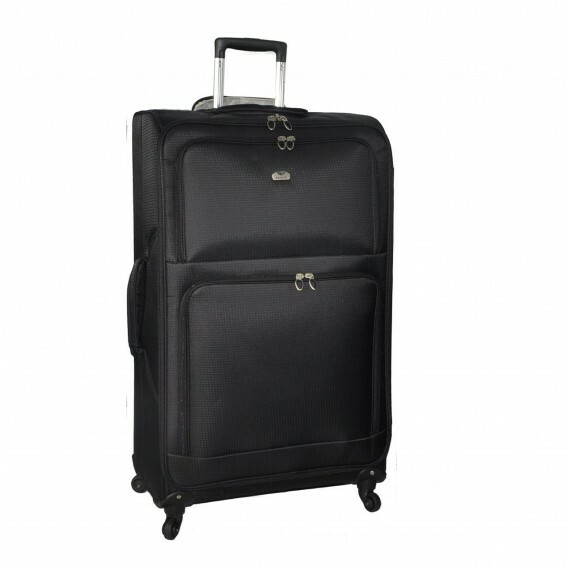 It features reinforced corners which, unlike some lightweight luggage options, safe-guard the security of your contents. The bag features two front-facing pockets which are fastened by a dual-zip feature, ensuring you’ll have easy access to important items such as your passport or entertainment devices. 80L suitcases will roughly allow you to carry an estimate of 20 shirts, 10 skirts, 4 large towels, Toiletries and 6 pairs of shoes.